1 out of 10 people experiences neck pain at some point in their life. In most cases, neck pain isn’t symptomatic an underlying health problem. While the exact cause has yet to be determined, experts believe that most cases of neck discomforts usually result from either minor sprains or bad posture. television for relaxation, activities that could potentially cause neck discomforts are growing more and more ingrained in our everyday routine. Despite being no serious threat to general health, the problem with neck pain is that it often triggers other physical discomforts such as headache, shoulder pain, temporomandibular joint disorder, upper back pain, and carpal tunnel syndrome. 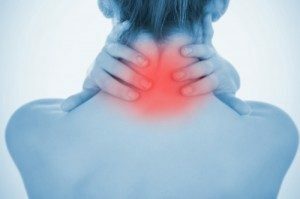 If you are experiencing persistent neck discomforts, it is best that you visit your local Chiropractor In Canberra at Canberra Spine Centre — most especially if you are experiencing sore and stiff neck after soon after waking up in the morning or if you are hearing clicking sounds in your neck. Chiropractic care is a branch of alternative medicine that traditionally deals with nerve interference resulting from spinal subluxation. Known for optimising the natural ability of the body to self-regulate and self-heal, Chiropractic care is especially effective in relieving back pain and neck discomforts. Canberra Spine Centre offers only high-quality chiropractic care to the local Canberra community and its surrounding regions. Call us at 02 6257 9400. Or book an appointment online.